Tonia Epstein started Destination Logistics in 2006. With over 20 years in the Freight and Logistics world Tonia had a vision to offer the highest level of personal service to anyone wanting to move freight. It does not matter if you only want advise to get a small envelope overseas or maybe you have a freight project that needs rates negotiated with the shipping lines or airlines. Destination Logistics have cultivated Freight partners worldwide who are as committed to service as they are. 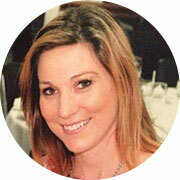 Tanya Laird joins Destination Logistics bringing with her a wealth of experience in the Freight and Logistics world. Tanya has worked with larger multi nationals and is reverting to the one on one personal service, no fuss and economical Management style. Making Freight and Logistics her own. 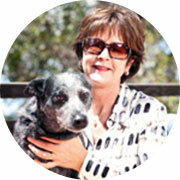 Michelle Andrews has been with Destination Logistics from the beginning. Michelle keeps us ticking along. Any accounts queries please contact Michelle. We have local drivers in all capital cities. These guys make our life easy picking up and delivering around the city. Shane, Kevin, Mark, Jim and Ryan.